Want to live on the EDGE this weekend? Looking for the perfect gift to give Dad this Fathers Day? 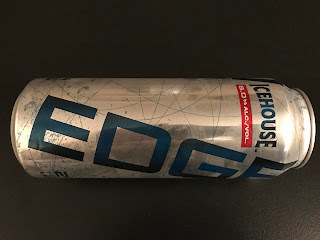 Look no further than a can of Icehouse EDGE! After bumming with the 8bitbros about some of the fine beverages from the Plank Road Brewery on this weeks edition of Bumming with Bobcat, I guess you could say that the guys "unofficially" requested this beverage to be covered as the beer of the week. 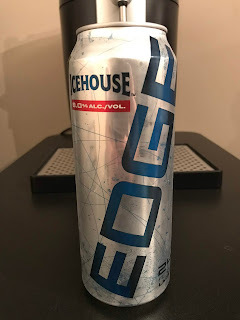 Now Icehouse EDGE is no stranger to bumwinebob.com as it was a featured beer of the week with a special review by Dan from enuffa.com back in 2015, but I felt it was time to crack open a cold one again to enjoy. I almost included this beverage during the Malt Liquor May High Gravity beverage celebrations since it's one of those beers that rides the line between the beer and malt liquor worlds, but ultimately decided to hold off. 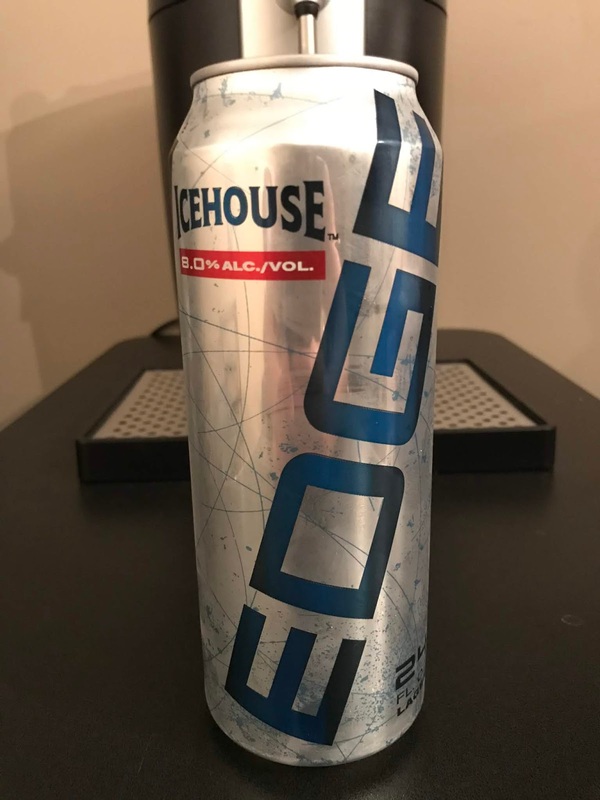 Icehouse Edge is a high gravity lager with dark golden appearance and satisfying malt character coming in at 8.0% ALC/VOL. It is most commonly found in 24oz cans, but has recently been made available in 42oz bottles as well! What's the verdict? You can do worse for only $1.09 a can. 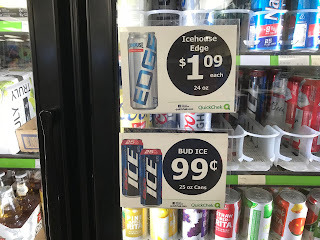 I do have to say that I was a lot happier when it was only 99 cents a can, but as you can see Bud Ice now gets that honor. Live on the EDGE and pick up an Icehouse EDGE to enjoy! Don't forget to head over to the Bumming with Bobcat Merch Store on TeePublic for some great deals on classic bWb t-shirts along with other great designs from the TeePublic community! Keep the drinks flowing every Monday night at 10pm EST when Bumming with Bobcat airs LIVE on sfdradio.com and join the party! Can't be there when we air live? You can always give the podcast a listen in the archives! Cheers!